November 26: 9am Morning Prayer at Market Rasen. November 27: 9am Morning Prayer at Market Rasen. November 28: 9am Morning Prayer at Market Rasen; 10am - 11.30am Mini Messy in Market Rasen Church Room; 7.15pm Choir practice; 7.30pm Bell ringing practice. November 29: 9.30am BCP Communion at Market Rasen; 10.30am Communion at Waterloo House. November 30: 9am Morning Prayer at Market Rasen. Weekly: Monday - Thursday 10am Mass at Holy Rood; Friday 6pm Mass at Caistor; Saturday: 5pm Vigil Mass at Hainton. Details: 01673 842323. 9.30am Communion at Langton by Wragby; 11am Communion at Rand. 10.30am Celebration and Teaching at New Life Church Centre, Serpentine Street, with guest speaker Simon Pinchbeck. Coffee from 10am. All welcome. Info: 01673 849941. Brookenby: 10.30am Dr Don Owen. Caistor: 10.15am Own arrangements; 4.30pm Express. Glentham: 8.45am breakfast; 9.30am Jane Lloyd. Market Rasen: 10.45am Ken Knapton. Middle Rasen: 10.45am Mike Childs / Broughton; 6pm the Rev Anne Coates. 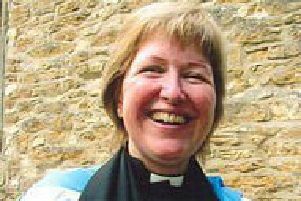 Nettleton: 2.30pm the Rev Louise Carr. November 28: 9.30am service at Middle Rasen. 8am Communion at Caistor; 9am Communion at Searby; 10.15am Parish Eucharist at Caistor; 6pm Evensong at Caistor. November 26: 9.30am Morning Prayer at Caistor. November 28: 10am Communion at Caistor. November 29: 7pm Communion at Caistor. 8.45am Parish Mass at Wold Newton; 10.30am Parish Mass at Binbrook. 9am Communion at South Kelsey; 10.30am Communion at Holton le Moor; 3pm Evening Worship at Usselby; 6pm Evening Worship at North Kelsey. 9am BCP Communion at Croxby; 10.30am Communion at Walesby; 10.30am Methodist Service at Brookenby; 6pm Evening Prayer at Normanby. 9am Morning Prayer at Grayingham; 9.30am Communion at Waddingham.